KATEE SACKHOFF RETURNS AS AMUNET — Amunet (guest star Katie Sackhoff) kidnaps Caitlin (Danielle Panabaker) and puts meta-dampener handcuffs on her to keep her from turning into Killer Frost. Amunet tells Caitlin she needs her to perform a tricky medical task and if Caitlin fails, Amunet will kill her. Meanwhile, The Thinker (guest star Neil Sandilands) traps The Flash (Grant Gustin) in a speedster-proof prison. 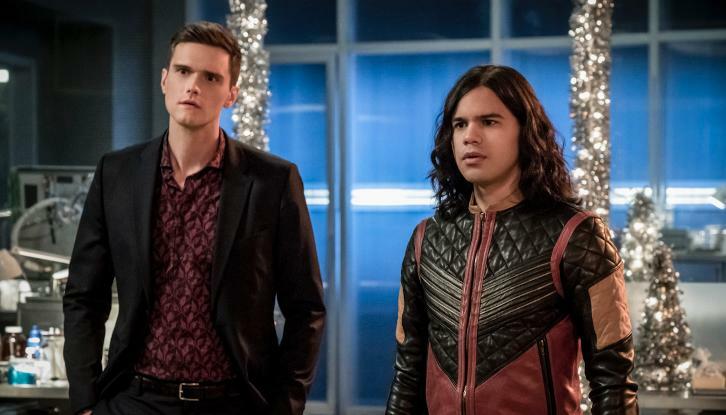 With the clock ticking, The Team doesn’t have the time or resources to track both Caitlin and Barry so Iris (Candice Patton) is forced to choose who to save. Stefan Pleszczynski directed the episode written by Sam Chalsen & Judalina Neira (#409). Original airdate 12/5/2017.